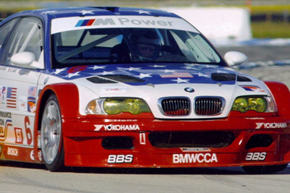 Cindi has raced a number of production-based cars in her career, including BMW. Aloha, Ore. - Motorsports star and personality Cindi Lux will be speaking and sharing her stories and experiences. Her wealth of motorsports knowledge includes factory race teams, SCCA, and a multitude of interesting projects. The evening will start with an informal wine tasting and mixer, followed by tour of the Kuni facility. Siraj Podikunju will be displaying his exceptional E30 M3 track car for members to eye. Seating, dinner and the short year-end presentation with guest speaker will follow. Rasmussen BMW, Kuni BMW, Pro-Tek, Pacific Motorsports and several other local businesses have donated items and services to the prize drawing. This promises to be a relaxed and great time! Grab a few friends or the significant other and come out for a popular year-end tradition since 1971!